1. 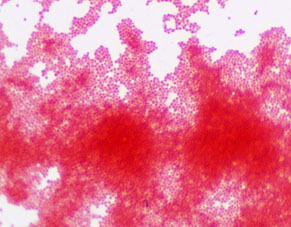 Acid-fast stain showing AF (hot pink) and NAF (purple) bacteria @1000xTM; 2. 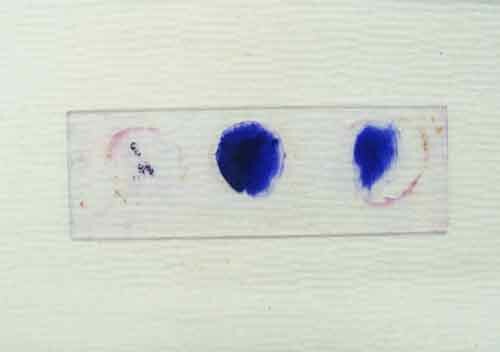 Acid-fast stained bacterial smears, with acid-fast control (Mycobacterium) on left, nonacid-fast control on right, and unknown in center; 3. 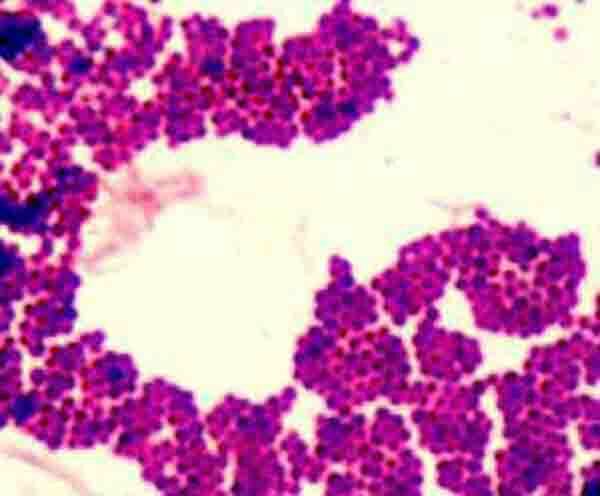 Acid fast stained Mycobacteria smegmatis @ 1000xTM; 4. 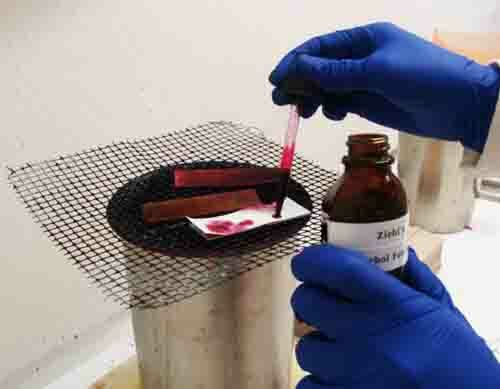 Applying acid-fast primary stain, carbolfuchsin over water bath; 5. 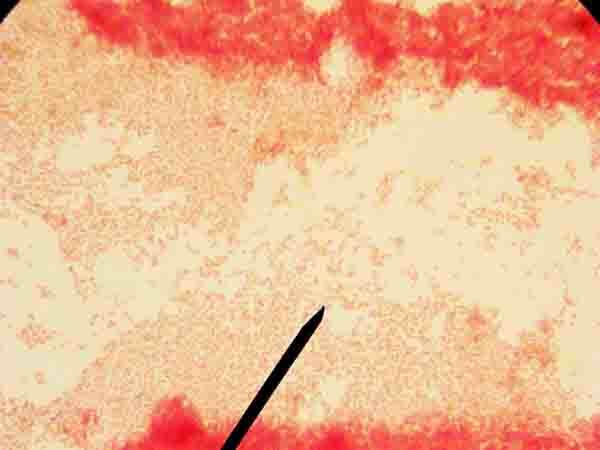 Nonacid-fast bacteria Staphylococcus. 1. 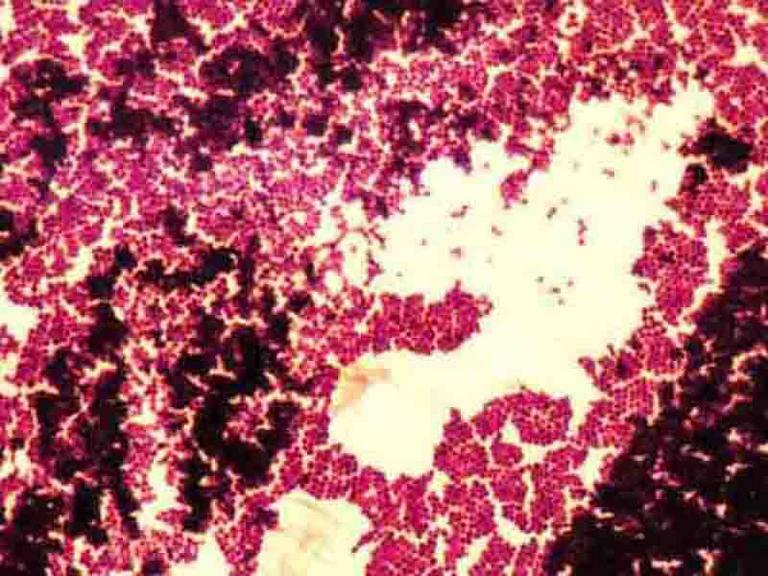 Gram-positive stained Staphylococcus @100xTM. 5. 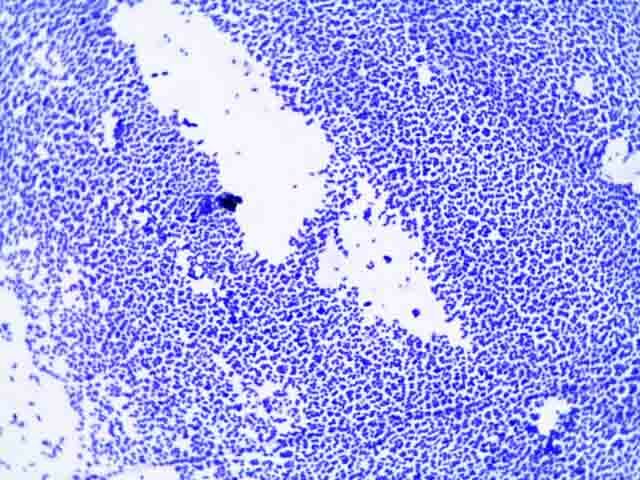 Gram-stained slide with controls on left and right, and unknown in center. 1. Endospore stain of Bacillus subtilis showing both endospores (green) & vegetative cells (pink) @1000xTM; 2. 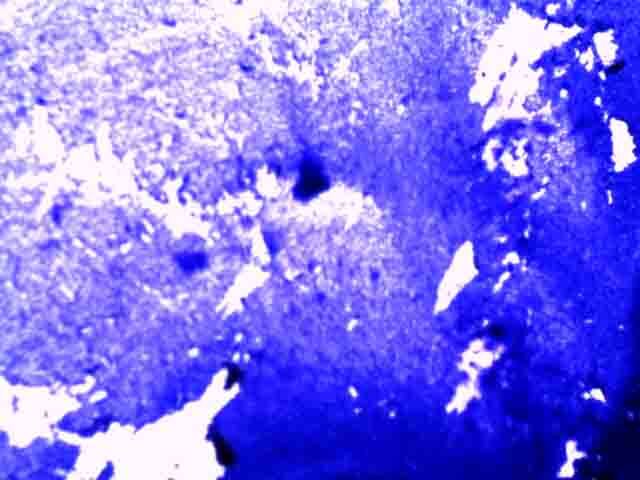 Negative endospore stain showing only vegetative cells @1000xTM; 3. 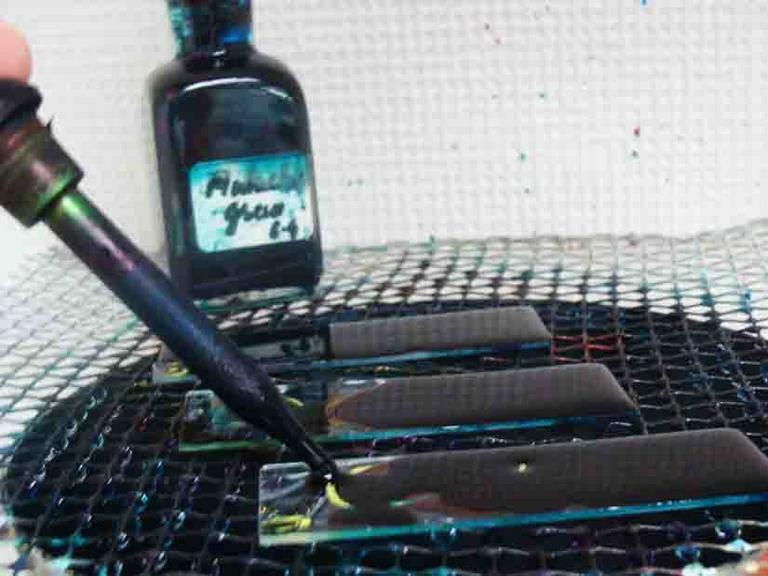 Malachite green primary staining step of endopore stain with slide being heated over water bath; 4. 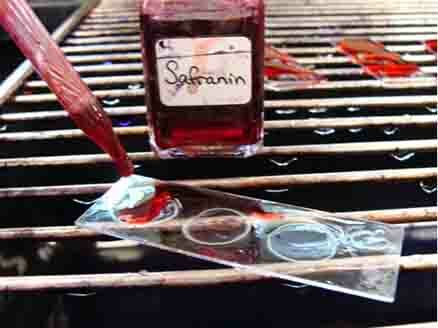 Applying counterstain (safrinin) to bacterial smear as last step of endospore stain; Endospore stained slide, with + control Bacillus on left, negative control E. coli on right, and unkown in center. 1. 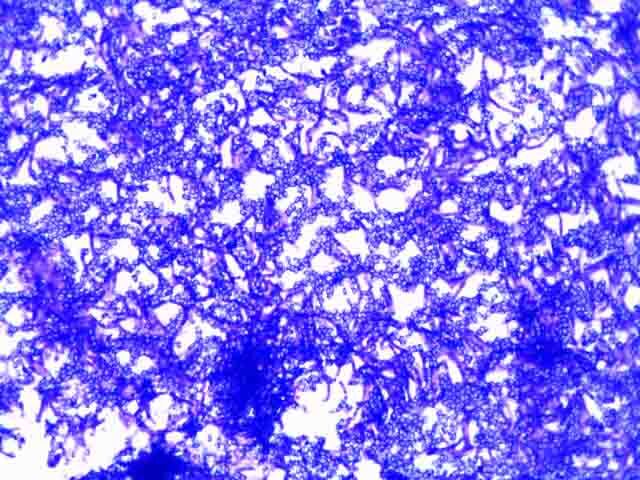 Bacillus subtilis stained with crystal violet @ 100xTM. 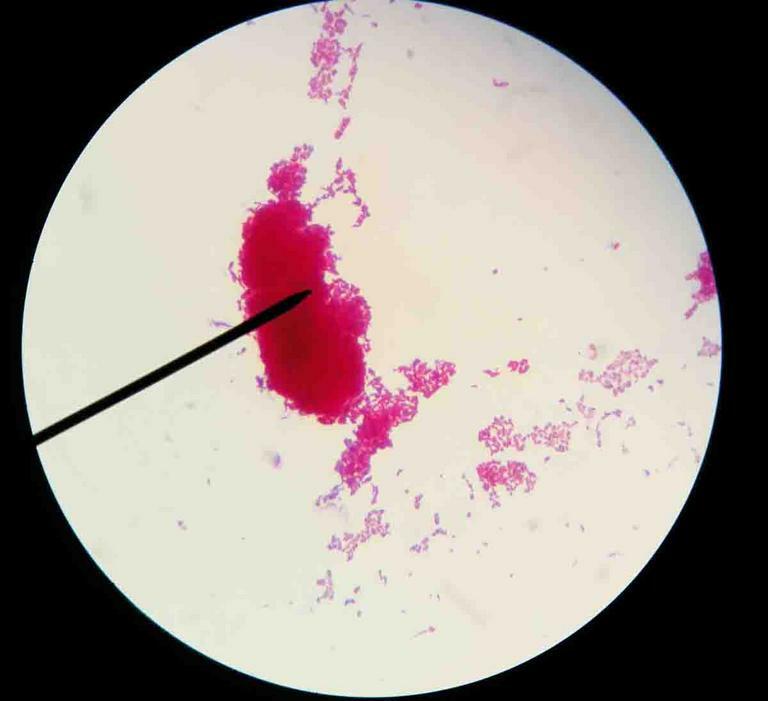 Cannot see individual bacteria at this magnification. 2. 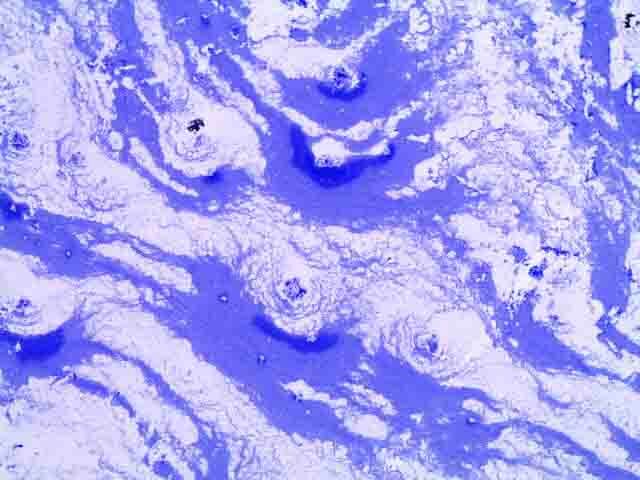 Bacillus subtilis stained with crystal violet @ 1000x TM. 3. 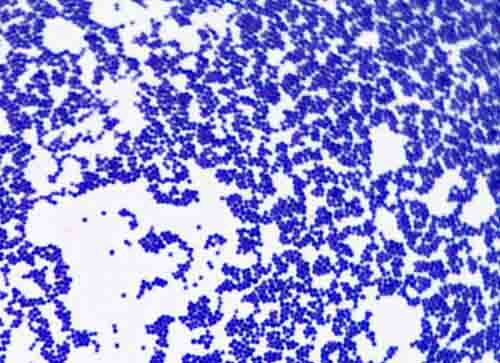 E. coli stained with crystal violet @ 100x TM. Cannot see individual bacteria at this magification. 4. E coli stained with crystal violet @ 1000xTM. 5. 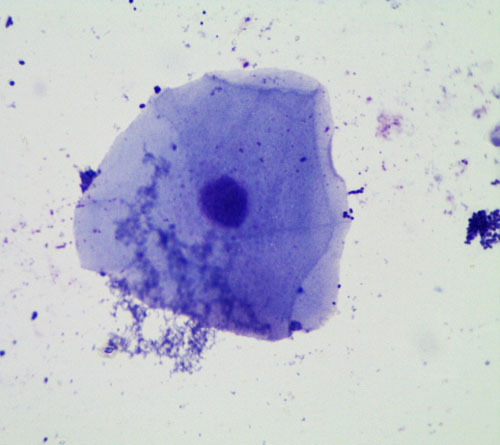 Cheek cell and oral bacteria stained with crystal violet @ 1000xTM. 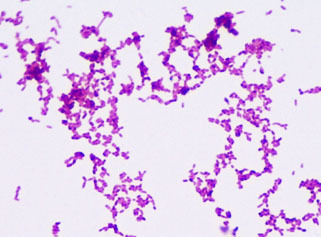 The Microbiology Image Library is the largest photo collection on the SPO site. To help you more easily find what you are looking for, select the "See more" link of the sub-topic below that corresponds to your interests or use the site search boxes. 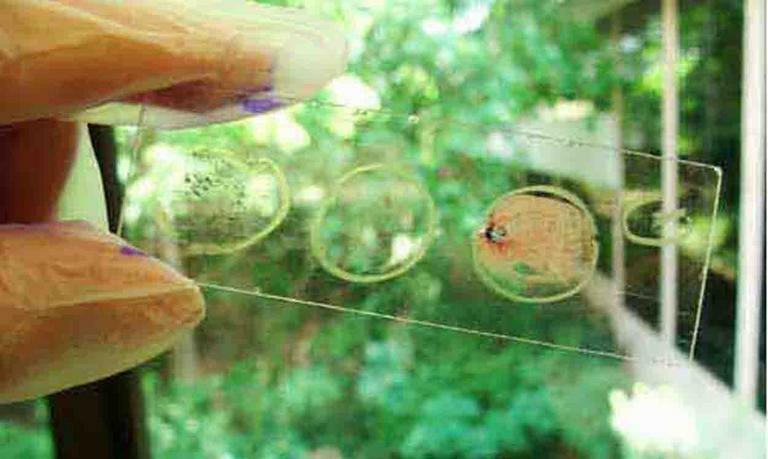 The SPO Science Image Library is a continuously growing collection of free science photographs. 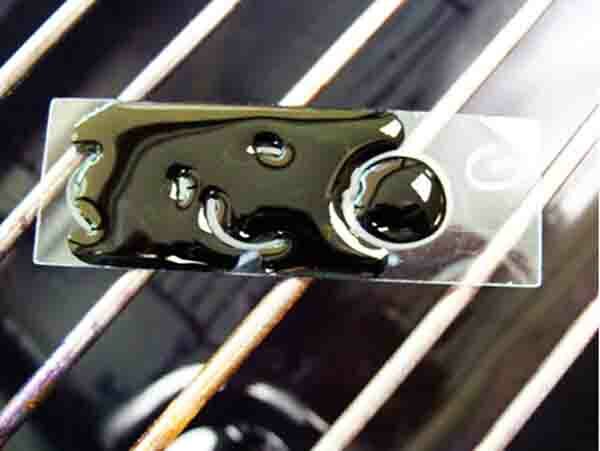 If you use one of our free, low-res images, we just ask that you give us credit and provide a link to the SPO website (scienceprofonline.com). To save a photo to your computer, right click on it and select "Save". To increase the size of the image, click on it. Schauer, Cynthia (2007) Lab Manual to Microbiology for the Health Sciences, Kalamazoo Valley Community College. Bauman, R. (2014) Microbiology with Diseases by Taxonomy 4th ed., Pearson Benjamin Cummings. 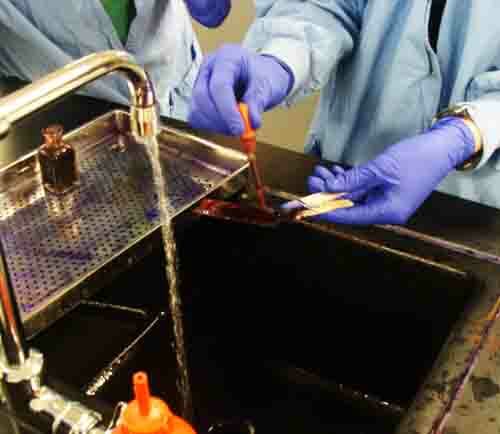 Gram Stain Bite Sized Tutorial: This is an extremely useful tutorial that shows, step-by-step, the Gram-staining procedure and the appearance of Gram+ and Gram- bacterial cells. 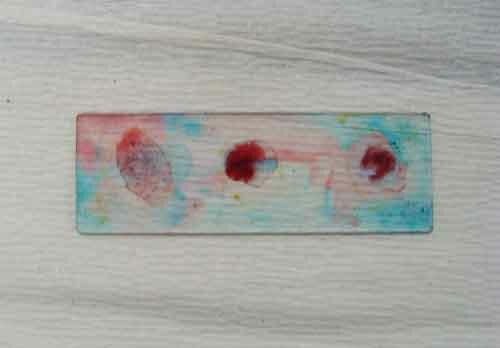 Stained slide with bacterial controls (knowns) on the outside and unknown bacteria in center. 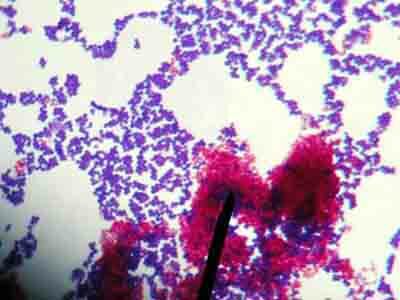 Left Gram Stain, center acid fast stain, right endospore stained slide. 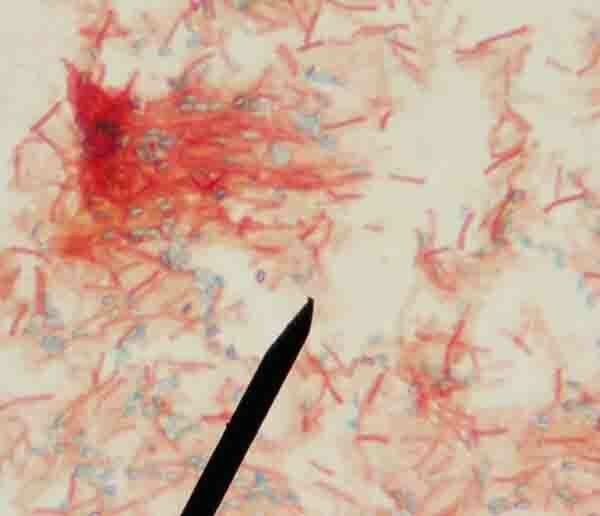 The acid-fast genus Mycobacterium has a waxy cell wall and stains hot pink after ziehl neelsen staining. 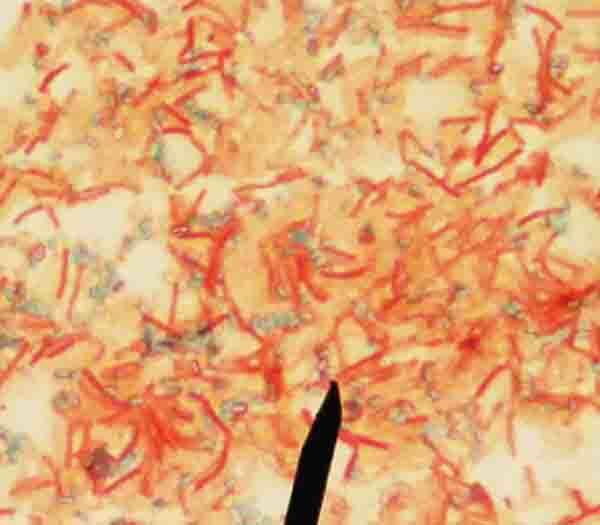 Endospore stained Bacillus subtilis. The vegetative cells (living cells) stain pink and the endospores blue-green.